CULLMAN – Students at St. Bernard Prep School arrived on campus on Sunday, Aug. 12, 2018, to participate in a day of orientation for the 2018-19 academic year. Of the 162 students enrolled, 40 registered in the boarding division and moved into the dormitories. Much of the day was spent getting familiar with protocols for the new year. One of the new features welcoming students to the new year was the renovated quad located at the center of campus. Newly installed exterior lights and concrete sidewalks were part of this summer’s renovations. This project was part of the summer appeal campaign undertaken by the development office under the direction of Fr. Marcus Voss. 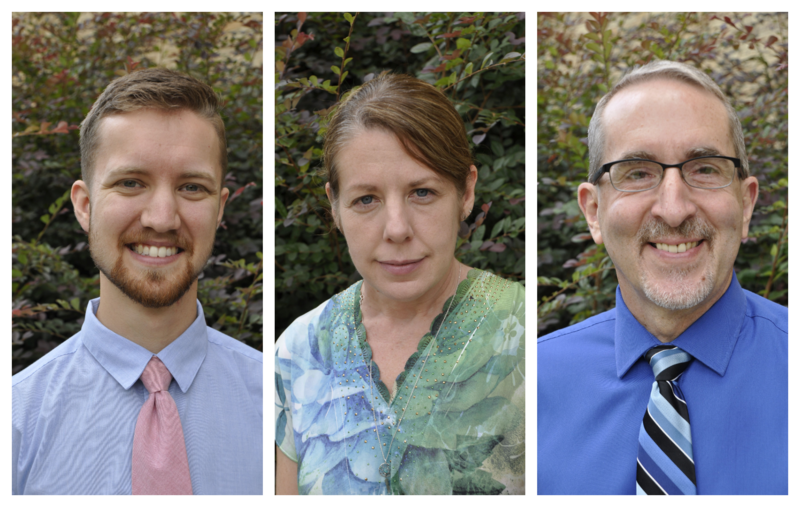 Three new teachers were named to the faculty at St. Bernard. Will Drake and Jennifer Glassford joined Mrs. Helen Glasscock in the English department, while Michael Kastner has been appointed the new director of fine arts. Since graduating high school in Cullman, Drake received his Master of Fine Arts in poetry from North Carolina State University and his Bachelor of Arts in English and humanities from the University of Mobile. He is moving to St. Bernard from the newly established St. Michael Catholic High School in Fairhope, where he spent two years as the founder of the English program and the boys’ varsity soccer program. He and his wife, Mallory, along with their 2-year-old son, have taken up residence in Cullman. Glassford is originally from Mobile and returned to Alabama after completion of 20 years of active duty in the United States Marine Corps. Her daughter, Alexa, attends the Aveda Institute in Philadelphia. Her son, Justis, attends Wallace State Community College. After retirement she worked part time for Westbrook Christian School and the Department of Veteran’s Affairs. She received a Bachelor of Science degree from Middle Tennessee State University and Master of Arts degree from the University of Alabama in Birmingham. She is presently enrolled in the Mississippi University for Women and pursuing a Master of Fine Arts degree in non-fiction writing. Upon completion of her MFA. she plans to further pursue her Ph.D. in English. She lives in Cullman with her son and her three dogs, Roxie, Copper and Riley. Kastner joined the faculty at St. Bernard Prep School as the new director of fine arts. Originally from Tiffin, Ohio, Kastner and his wife, Betsey, have been married for 34 years and they have three children, Michelle, 30, who is a human resources administrative assistant in Toledo, Ohio; Melissa, 28, who works in higher education at Wright State University and is married to Ryan, who is proud to be a member of the U.S. Air Force; and Matthew, 25, who lives in Allentown, Pennsylvania (hometown of Father Linus), and is an instruction technologist in the department of education at Lehigh Valley Health Network. A graduate of Siena Heights University in Adrian, Michigan, Kastner loves traveling and taking walks with his wife, accompanied with their family dog, a Jack Russell named Annie. His passion for Catholic education, vocal music and especially Broadway musicals has guided him through 34 years of teaching and directing musicals for students in kindergarten through 12th grade. He is very proud and honored to be a part of the St. Bernard Prep School family. Saint Bernard Prep is a co-ed boarding and day school for students in grades 7-12. For more information, visit www.stbernardprep.com or call 256-739-6682 to schedule a private tour.